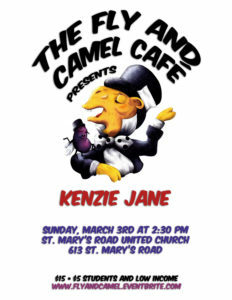 Kenzie Jane has developed a unique style of original music, mixing sounds of RnB, Jazz, Roots, and mouth trumpet. She is becoming a seasoned performer playing various venues and festivals such as the Winnipeg Folk Festival, Winnipeg Pride, ManyFest and much more. This summer Kenzie toured across Western and Northern Canada, playing festivals and shows from the Yukon to Saskatchewan. She released her debut EP, Love Me From Scratch this past April and is excited to start working on her next project. 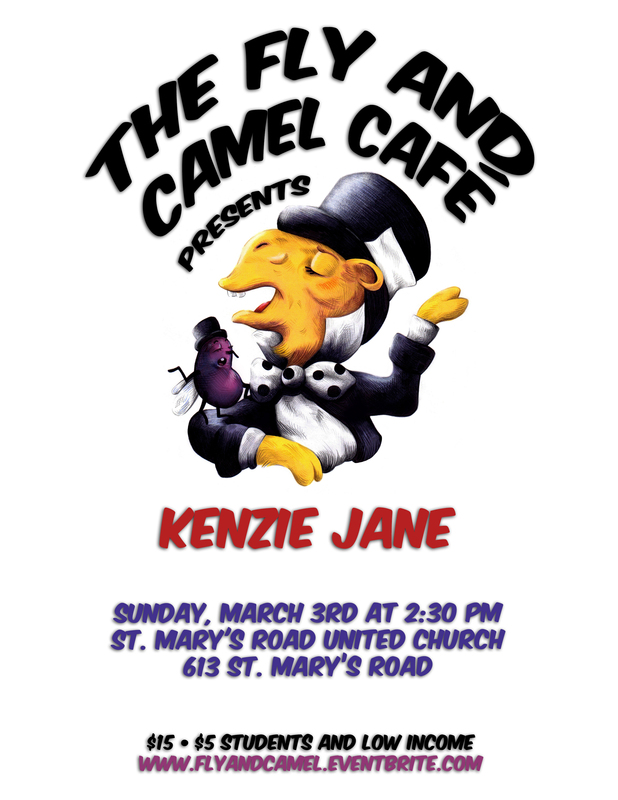 As always, the Fly and Camel Café is one of the best entertainment deals in the city, with coffee, tea, fruit, veggies, baked goods, and community to go along with the great music. All proceeds from this edition will go to SMRUC.